Hamsters are cute little rodents that make for very gregarious home pets and therefore, these burrowing animals enjoy high popularity with regards to domesticating them. If you’ve a hamster as a pet, it does not need to be exaggerated that you’d need to take good care of the rodent to keep it healthy. You should bathe your pet at least once a week and spray its skin with a medicated aerosol every two days to prevent the breeding of mites. Your hamster is always susceptible to getting infested with mites from numerous sources. For instance, if you’ve other pets in your home including dogs and cats, there is every possibility you may have hamster mites in the house. These can easily travel from their skins and lodge themselves in the epidermis of your hamster. As and when required, mites can perfectly shelter themselves in the hamster’s bedding or in her toys or even in the rods of her cage. Mites together with ticks are classed as arthropods and their nature is parasitic i.e. they derive their nutrition from the host where they lodge and breed extensively. Mites thriving on hamsters burrow themselves firmly under their skins and hang on to hair follicles’ roots. They draw on the host’s blood, feed on dead skin cells, and also on oils secreted by sebaceous glands on their epidermises. If your pet hamster is infested with mites or ticks, you’ll frequently see the rodent scratching the surface of its skin. 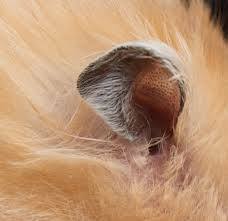 Hairs from its fur will also keep falling off every now and then if it is infected with mites. However, the best way to check out whether your hamster has mite infestation or not, take a small comb with very fine teeth and run it quite deeply through the fur. Despite their microscopic size, you’ll be able to spot them if you sift through the hair follicles. Another good way of checking is to darken the room completely and search for mites using a powerful torchlight. You’ll certainly be able to weed out innumerable mites through this process. How to Get Rid of Mites in Hamster? The most convenient, quickest, and safest way to get rid of mites, fleas, and ticks from your pet’s skin is to use a disinfectant, for instance hamster mites sprays, commonly called as the anti-mite sprayer. You’ll find several brands of OTC sprays at nearly all pet stores. Before using the aerosol, ensure that the eyes of the hamster are completely covered. Also, take out her bedding from the cage, take it far away from her, thoroughly dust and spray it as well. Do not forget to clean the hamster’s cage with a clean, dry cloth and thereafter fumigate it. If the hamster has mites, it should be quarantined as early as possible, especially if you’ve domesticated an entire family. This is to prevent other hamsters from getting infected. It’ll be best if you isolate the infested hamster by keeping her in a different room in a distinct cage. Only when you’re absolutely sure that the quarantined hamster has been completely ridden of mites should you allow her to rejoin her family. To say the last but not the least, you should definitely look for the root cause for the infestation or contamination. 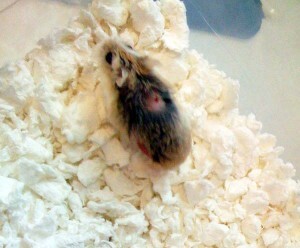 It could be that your hamster got infested from other pets around your house or from spare bedding that is lying unused. 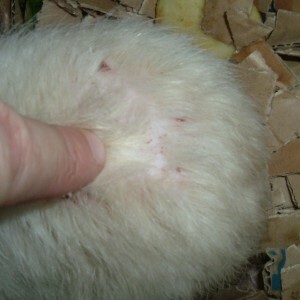 There is also the possibility of mites getting transferred from stale food that has not been cleared from her cage. Finally, you don’t need to be too anxious about your pet getting contaminated with mites as these tiny creatures prefer to make furry animals their breeding grounds.